Us Kiwis love a bevvy. We drink throughout the year; for the cold, in the Summer months, in the bad times and to celebrate the good. We drink at the rugby, we drink after work and we drink at art openings. Alcohol is a pretty inescapable part of New Zealand everyday life. Naturally, like most of us, I never thought I had a ‘troubled’ relationship with alcohol. Like most people, I’d drink when I felt like it, but never unreasonably (ie. when I first woke up). There was always a place for a bottle of Rose, a couple after work or a bottle of wine over dinner. The kind of drinking that creeps in, and hangs around, for no particular reason, but is ‘fun’. 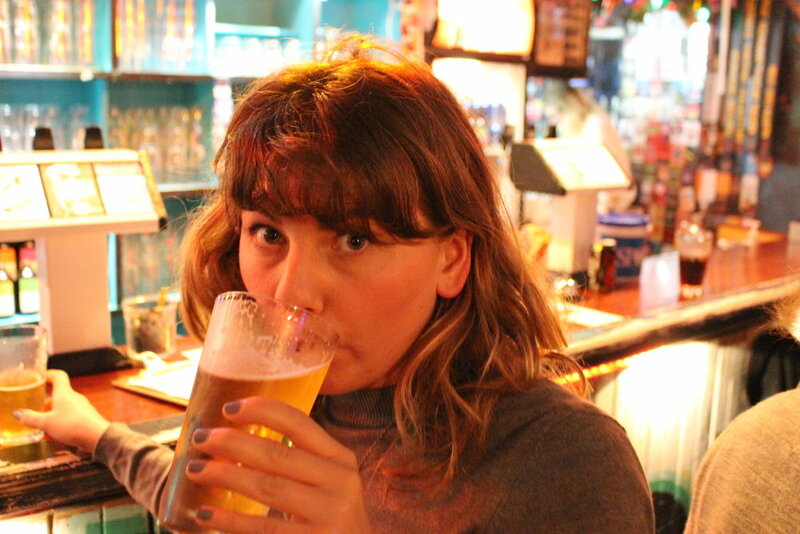 In my early twenties, I had a pretty boozy time, especially after breaking up with my first boyfriend. I loved going to live music and so gin and beer was always part of the scene. We went to parties because that is what you do on the weekend. It’s also the easiest way to talk to boys. Have a few drinks, and you don’t feel as nervous right? It wasn’t uncommon to spend a Friday night going from one event with alcohol, to another gathering with friends at a bar, and then wind up at a flat party, almost always without eating dinner. The next day, I’d often get anxiety about what I’d said, what I did and sometimes who with. It led to many non-starter relationships, which seems like fun at the time, and were almost invariably a learning curve (I don’t regret *almost* any). But anything serious was disqualified. A messy start always led to a messy end, whether with a bang or a whisper. Alcohol also began to reck havoc with my female friendships (something I don’t think we talk about enough). While I always have my true-blue friends, one or two of my friendships in my twenties became quite wrapped up in drinking together and ended up self-destructing because of it. There was the one friend who would want to stay out later, and when I was tired always insisted on that one more drink. Nights started in a sophisticated manner, but usually ended up with me having to look after her which became hard on us over time. I am sure I too am not innocent at having inflicted my poor decision making on others. Those days started to disappear, along with those friendships. I grew up some more and I embarked on a new chapter with Matt (aka the Tinder success story). This 1st January, I made the decision after waking up with an unreasonably bad hangover from some cheap ciders the night before that I’d give up drinking for the month. I just wasn’t one hundred percent convinced that it was still feeling like fun. I guess I felt like I was out of control of my moods, getting tired and grumpy at Matt, and losing whole days out feeling exhausted. My goal was to make it to 18 February, for around the bays, and not drink outside my little holiday weekends. So throughout January, up until this weekend, I didn’t drink except on two occasions for blogging in Nelson and Marlborough. I didn’t drink when we had people over. I didn’t drink when we went out. I didn’t drink when I was at my parents. I didn’t drink when I was stressed after work (that was the hardest). I also decided to give up coffee. It was one of those ‘go all the way’ things. 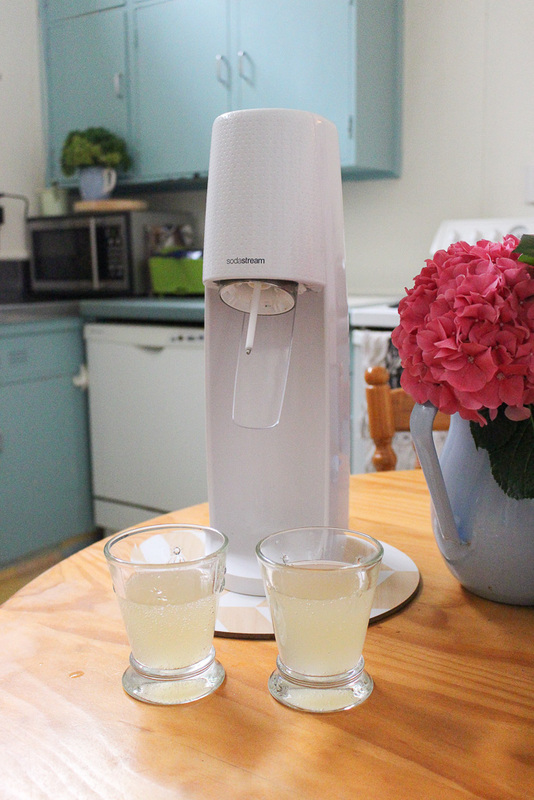 One of the things which really helped me was being kindly gifted a SodaStream just before Christmas. I knew I could fall back on it, especially on the hot days, and instead of the ritual of selecting an attractive wine at the supermarket, I could occupy myself with selecting an attractive soda syrup such as those from Wellington brand Six-Barrel Soda, or one of the many other great companies which produce them. Looking into the flavours became interesting and exciting, and I loved bringing them home, popping some ice in a glass, bubbling up my water and mixing it all together in a jug. It game me a feeling of satisfaction that I was actually enjoying myself, not feeling deprived, and that often when asked others were quite delighted not to drink too once someone else had made the decision. Parties were more fun, (after the initally feeling of FOMO passed) if not quite as late, and I felt more in control. 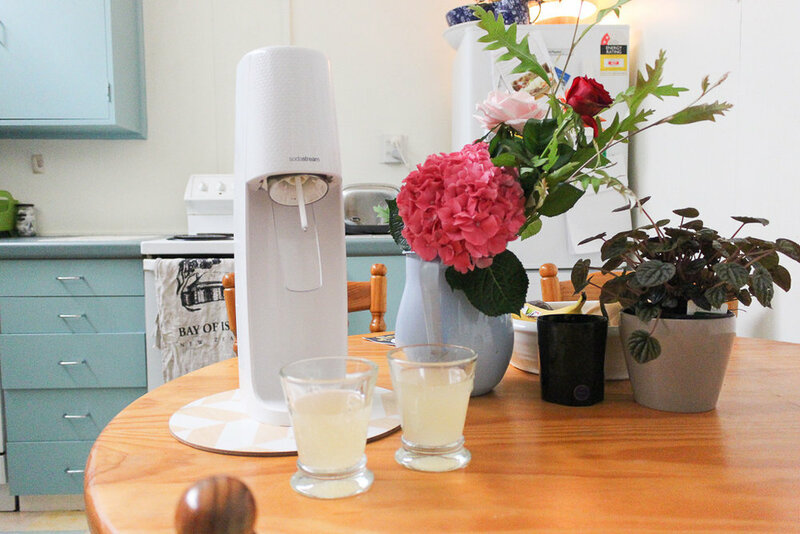 I even brought my SodaStream out to a party with friends in Paekakariki and sober drove home. It just FELT better. It’s also an environmentally friendly choice; by using pure tap water and reusable bottles, it can save you hundreds of plastic bottles every year and help reduce your carbon footprint – all while allowing you to easily create an array of sparkling beverages *Ka-ching!*. After about two weeks I began to see major benefits to my well-being from cutting right back. These include sleeping better, losing weight, better skin (this was the big one people commented on), less anxiety, more stable moods, greater energy in the mornings (especially on Mondays) and a productivity spike. I even convinced Matt to join me, on and off. I missed the warm fuzzy feelings I got when I had a glass of wine, but I enjoyed the benefits more. Until our trip to Marlborough on Wellington Anniversary Weekend, not drop passed my lips. And then, when we were away, and I did drink. I drank delicious Marlborough wine, and I actually appreciated it (probably for the first time ever). On the week of around the bays, I stumbled with my drinking. A few glasses of wine, ironically on the week we were meant to do our run. Matt had just come off antibiotics and we brought some of our wine from Marlborough to our friends place. It was a really nice, civilised evening and actually all was well. We also had friends to our place and drank there? What was the harm? This week, I fell. I got proper white-girl wasted on Friday night and didn’t come home until 2:30 (Matt too was out on the razz). I woke up the next day and regretted that I’d let it get that far. It didn’t take too much. Some drinks at the art gallery, some cocktails with others and finally some deadly Aperol. It didn’t turn out particularly great. However, I realised, that although it had been fun in the moment, this simply wasn’t who I wanted to be anymore. I didn’t want to be Lucy of 5 years ago, bumbling between parties an friends, constantly feeling awful on a Saturday morning and falling into questionable situations. She was fine. She helped me get a to a point. But she wasn’t serving me anymore. The Bottom of the Barrel: Have I learnt anything? Can you do it? So for those of you struggling with your drinking, to a greater or lesser extent, I can honestly say that giving yourself a break might be a game changer for something better. I didn’t realise I was ready to level up until I took away that which sapped my energy. I want to do more, and be more, and I know and am grateful for the wonderful things I have in my life. I want to enjoy them, not slip into being an anxious mess. I’m not doing it for anyone else. I am doing it for me. Because it is so easy to feel like you need to people please and to drink because of it. And once one drink turns to three it is really hard for many of us to slow down, especially when we mix it with friends we love but maybe don’t have the ‘off’ button on a night out. So for a while, I'm avoiding alcohol again until a truly special occasion arises. Also, top tip? Get yourself a Sodastream Spirit gal! Unlike that hangover in the morning thanks to the pack of cigarettes you bought while on the razz, you won't regret it.